Auto Somango from Advanced Seeds is a new generation feminised autoflowering seeds. This strain is originated by crossing the Jack Herer x Big Skunk and Auto genetics. Advanced Seeds Auto Somango is a weed plant with a strong aroma and taste. The smell of this plant is very powerful and this plant smells like a sweet tropical fruit. The taste of this plant is also powerful, they also call it the strongest tasting autoflowering strain! 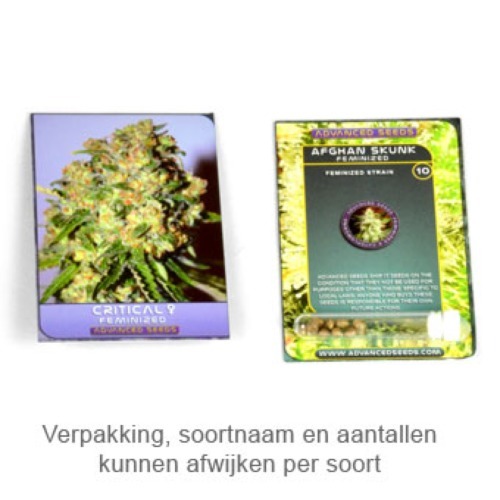 These cannabis seeds are suitable for an indoor grow and outdoor grow. The effect of this weed strain is quite mild and slightly narcotic. A perfect weed for daily use! Tell us and our customers what you think of the Auto Somango from Advanced Seeds.